Bausch Health Companies Inc. (formerly Valeant Pharmaceuticals) is a multinational specialty pharmaceutical company based in Laval, Canada. It develops, manufactures, and markets a broad range of pharmaceutical products primarily in the areas of dermatology, gastrointestinal disorders, eye health, neurology, and branded generics. Valeant owns Bausch & Lomb, one of the world's largest suppliers of eye health products. Founded in California in 1959 as ICN Pharmaceuticals, Valeant grew rapidly through a series of mergers and acquisitions under the leadership of J. Michael Pearson and for a short period of time in 2015 was the most valuable company in Canada. Its largest acquisitions were Bausch & Lomb in 2013 and Salix Pharmaceuticals in 2015. Valeant also tried to acquire Actavis and Cephalon and merge with Allergan in 2014, but failed and was sued for insider trading prior to their bid. In 2015, the company was involved in a number of controversies surrounding drug price hikes and the use of a specialty pharmacy for the distribution of its drugs, which led to an investigation by the SEC and caused its stock price to plummet more than 90 percent from its peak while its debt surpassed $30 billion. In 2016, Pearson was ousted and replaced by Joseph C. Papa, while investor Bill Ackman joined the board. In 2017, Ackman's Pershing Square fund, which held a major stake in the company, sold out for a reported loss of $2.8 bn. Following Ackman's exit, Paulson & Co. increased its stake in the company and became its largest shareholder, while its founder John Paulson joined the board, vowing to rebuild the company's core franchises and reduce its debt. Bausch Health's main products include drugs in the fields of dermatology, neurology, and infectious disease. Penicillamine (Cuprimine), to treat Wilson's disease (a condition in which high levels of copper in the body cause damage to the liver, brain, and other organs), cystinuria ( a condition which leads to cystine stones in the kidneys), and in people with severe, active rheumatoid arthritis who have failed to respond to an adequate trial of conventional therapy. In 1959, Yugoslavian immigrant Milan Panić, who had defected to the US three years earlier, founded ICN Pharmaceuticals (International Chemical and Nuclear Corporation) in his Pasadena garage. Panić ran the company for 47 years, during which ICN established a foothold in the industry by acquiring niche pharmaceuticals and through the development of Ribavirin, an antiviral drug that became the standard treatment for hepatitis C.
In 1994, ICN merged with SPI Pharmaceuticals Inc., Viratek Inc., and ICN Biomedicals Inc.
On June 12, 2002, following a series of controversies, Panić was forced to retire under pressure from shareholders. In 2003, not long after Panić's ouster, ICN changed its name to Valeant. In 2006, the company received approval in the U.S. to market Cesamet (nabilone), a synthetic cannabinoid. The company also acquired the European rights to the drug for $14 million. In 2008, the Swedish pharmaceutical company Meda AB bought Western and Eastern Europe branches from Valeant for $392 million. In September 2008, Valeant acquired Coria Laboratories for $95 million. In November 2008, Valeant acquired DermaTech for $12.6 million. In January 2009, Valeant acquired Dow Pharmaceutical Sciences for $285 million. In July 2009, Valeant announced its acquisition of Tecnofarma, a Mexican generic drug company. In December 2009, Valeant announced its Canadian subsidiary would acquire Laboratoire Dr. Renaud, for C$23 million. In March 2010, Valeant announced its acquisition of a Brazilian generics and over-the-counter company for $28 million and manufacturing plant for a further $28 million. In April 2010, Valeant announced that its Canadian subsidiary would acquire Vital Science Corp. for C$10.5 million. In May 2010, Valeant acquired Aton Pharmaceuticals for $318 million. On September 28, 2010, Valeant merged with Biovail. The company retained the Valeant name and J. Michael Pearson as CEO, but was incorporated in Canada and temporarily kept Biovail's headquarters. Setting on a path of aggressive acquisitions, Pearson would ultimately turn Valeant into a platform company that grows by systematically acquiring other companies. In February 2011, Valeant acquired PharmaSwiss S.A. for €350 million. In March 2011, an attempt to buy drugmaker Cephalon Inc. for $5.7 billion was unsuccessful. In May 2011, former Biovail Corporation Chairman and CEO Eugene Melnyk was banned from senior roles at public companies in Canada for five years and penalized to pay $565,000 by the Ontario Securities Commission. In the year before the merger with Valeant, Melnyk had settled with the United States Securities and Exchange Commission (SEC), and agreed to pay a civil penalty of $150,000 after having previously paid $1 million to settle other claims with the SEC. In July 2011, Valeant acquired Ortho Dermatologics from Janssen Pharmaceuticals for $345 million. The acquisition included the products Retin-A Micro, Ertaczo, and Renova, also known as tretinoin. In August 2011, Valeant acquired 87.2% of the outstanding shares of Sanitas Group for €314 million. In December 2011, Valeant acquired iNova Pharmaceuticals for A$625 million from Australian private equity firms Archer Capital with additional milestone payments of up to A$75 million. In December 2011, Valeant acquired Dermik, a dermatology unit of Sanofi. In January 2012, Valeant acquired Brazilian sports nutrition company Probiotica for R$150 million. In February 2012, Valeant acquired ophthalmic biotechnology company, Eyetech Inc. In April 2012, Valeant acquired Pedinol. In April 2012, Valeant acquired assets from Atlantis Pharma in Mexico for $71 million. In May 2012, Valeant acquired AcneFree for $64 million plus milestone payments. In June 2012, Valeant acquired OraPharma for approximately $312 million with up to $144 million being paid in milestone payments. In August 2012, Valeant agreed to buy skin-care company Medicis Pharmaceutical for $2.6 billion. In January 2013, Valeant acquired the Russian company Natur Produkt for $163 million. In March 2013, Valeant acquired Obagi Medical Products, Inc. In May 2013, the company acquired Bausch & Lomb from Warburg Pincus for $8.7 billion in a move to dominate the market for specialty contact lenses and related products. In January 2014, Valeant acquired Solta Medical for approximately $250 million. In May 2014, Nestle acquired the commercial rights to sell Valeant's filler and toxin products for $1.4 billion. In July 2014, Valeant acquired PreCision Dermatology Inc for $475 million, a deal aimed at strengthening the firm’s skin products business. Along with hedge fund manager Bill Ackman, Valeant made a bid to acquire Allergan; however, in November 2014, Allergan announced that it would be acquired by Actavis in a $66 billion transaction. Valeant and Pershing Square were subsequently accused of insider trading prior to their Allergan bid and would eventually settle the case in 2017. On April 1, 2015, Valeant completed the purchase of gastrointestinal treatment drug developer Salix Pharmaceuticals for $14.5 billion after outbidding Endo Pharmaceuticals. On the final day of trading, Salix shares traded for $172.81, giving a market capitalisation of $10.9 billion. In July 2015, the company announced it would acquire Mercury (Cayman) Holdings, the holding company of Amoun Pharmaceutical, one of Egypts largest drugmakers, for $800 million. In August 2015, Valeant said it would purchase Sprout Pharmaceuticals Inc for $1 billion, a day after Sprout received approval to market the women's libido drug Addyi. In September 2015, Valeant licensed psoriasis drug Brodalumab from AstraZeneca for up to $445 million. In September 2015, the company announced its intention to acquire eye surgery product manufacturer, Synergetics USA, for $192 million in order to strengthen the company's Bausch & Lomb division. In October 2015, the company's Bausch & Lomb division acquired Doctor's Allergy Formula for an undisclosed sum. On October 21, 2015, Citron Research, controlled by Andrew Left, a short seller of Valeant shares, claimed that Valeant recorded false sales of products to specialty pharmacy Philidor Rx Services and its affiliates. These specialty companies were controlled by Valeant and allegedly resulted in the improper booking of revenue. In addition, by controlling the pharmacy services offered by Philidor, Valeant allegedly steered Philidor's customers to expensive drugs sold by Valeant. One alleged practice entailed Valeant employees directly managing Philidor's business operations while posing as Philidor employees and with all written communication under fictitious names. Valeant responded that the allegations by Citron Research were "erroneous." On October 30, 2015, Valeant said that it would cut ties with Philidor in response to allegations of aggressive billing practices. Walgreens Boots Alliance Inc, owner of Walgreens, took over distribution for Valeant. An important part of the growth strategy for Valeant under Michael Pearson had been the acquisition of medical and pharmaceutical companies and the subsequent price increases for their products. Valeant's strategy of exponential price increases on life-saving medicines was at the time described by Berkshire Hathaway vice chairman Charlie Munger as "deeply immoral" and "similar to the worst abuses in for-profit education." This strategy had also attracted the attention of regulators in the United States, particularly after the publication in the New York Times of an article by Andrew Pollack on price gouging of specialty drugs. In September 2015, an influential group of politicians criticized Valeant on its pricing strategies. The company raised prices on all its brand name drugs 66% in 2015, five times more than its closest industry peer. The cost of Valeant flucytosine was 10,000% higher in the United States than in Europe. In late September 2015, members of the United States House Committee on Oversight and Government Reform urged the Committee to subpoena Valeant for their documents regarding the sharp increases in the price of "two heart medications it had just bought the rights to sell: Nitropress and Isuprel. Valeant had raised the price of Nitropress by 212% and Isuprel by 525%". New York Times columnist Joe Nocera claimed that Valeant CEO J. Michael Pearson's "plan was to acquire pharmaceutical companies, fire most of their scientists, and jack up the price of their drugs". After Valeant acquired Salix Pharmaceuticals in 2015, it raised the price of the diabetes pill Glumetza about 800%. Valeant is known for buying companies and laying off their employees to achieve savings, while accumulating a debt of about $30 billion. It spends an amount equivalent to only 3% of its sales on research and development, which it views as risky and inefficient compared with buying existing drugs. Traditional big drug companies spend 15 to 20% of sales on research and development. Valeant also pays extremely low taxes because it is officially based in Canada, although Mr. Pearson operates from New Jersey. Although it did not specifically mention Valeant, an October 2015 Twitter post by presidential candidate Hillary Clinton stated: "Price gouging like this in the specialty drug market is outrageous. Tomorrow I’ll lay out a plan to take it on." In January 2016, she said she would be "going after" Valeant for its price hikes, causing its stock price to fall 9 percent on the New York Stock Exchange. By October 2015, Valeant had received subpoenas from the U.S. Attorney's Office for the District of Massachusetts and the United States Attorney for the Southern District of New York in regards to an investigation on Valeant's "drug pricing, distribution and patient assistance program." The House oversight committee also requested documents from Valeant amid public concern around drug prices. In October 2015, the Federal Trade Commission began an investigation into Valeant's increasing control of the production of rigid gas permeable contact lenses. Valeant's acquisition of Bausch & Lomb in 2013, and Paragon Vision Services in 2015, is alleged to have given the company control of over 80% of the production pipeline for hard contact lenses. A series of unilateral price increases beginning in Fall 2015 spurred the FTC's investigation. On November 15, 2016, Valeant agreed to divest itself of Paragon Holdings and Pelican Products to settle charges that its May 2015 acquisition of Paragon reduced competition for the sale of FDA-approved "buttons", the polymer discs used to make gas permeable contact lenses. From 2015 to 2017, Valeant shares plummeted more than 90 percent. Large hedge funds such as Bill Ackman's Pershing Square Capital Management, Paulson & Co., and Viking Global Investors lost billions. By April 2016, the market value of hedge fund holdings in Valeant had fallen by $7.3 billion. However, hedge fund herding continued to incite hedge fund portfolio managers to continue to buy Valeant shares. In March 2016, the Board of Directors said that CEO J. Michael Pearson would be leaving the company as soon as a replacement is found and that investor Bill Ackman would be added as a director. 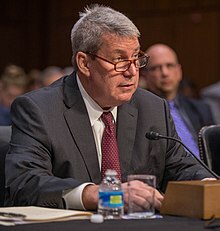 In their 2015 annual report filed on April 29, 2016, Valeant said that it is the "subject of investigations" by the Securities and Exchange Commission, the U.S. Attorney’s Offices in Massachusetts and New York, the state of Texas, the North Carolina Department of Justice, the Senate’s Special Committee on Aging and the House’s Committee on Oversight and Reform, and had received document requests from the Autorite de Marches Financiers in Canada and the New Jersey State Bureau of Securities." On April 27, 2016, Bill Ackman, J. Michael Pearson, and Howard Schiller were forced to appear before the United States Senate Special Committee on Ageing to answer to concerns about the repercussions for patients and the health care system faced with Valeant's business model. On April 25, 2016, Valeant named Perrigo chief executive Joseph Papa as a permanent replacement for Pearson and entrusted him with turning around the company. Papa immediately set on a path of strategic sales, debt reduction, and organic growth. By January 2017, the company had sold its skincare brands to L'Oréal for $1.3 billion and its Dendreon biotech unit to Sanpower for $819.9 million. In June, the company sold iNova Pharmaceuticals for $910 million. In July, the company also divested Obagi Medical Products for $190 million. In November, it announced it would sell Sprout Pharmaceuticals back to its original owners, two years after acquiring the business for $1 billion. By January 2018, the company had divested itself of thirteen non-core businesses, reducing its debt to $25 billion, and had settled or dismissed seventy pending lawsuits, including the Allergan insider trading case. On January 8, 2018, the company announced that its Bausch + Lomb unit had received a CE Mark from the European Commission for the distribution of its Stellaris product in Europe. ^ a b c "Income Statement". ^ a b "Balance Sheet". ^ a b c d e f g h i j k l m n o p q r s t u v w "US SEC: Form 10-K Valeant Pharmaceuticals International, Inc". U.S. Securities and Exchange Commission. Retrieved March 4, 2018. ^ "Ackman sells Valeant stake". Bloomberg. Retrieved 14 March 2017. ^ "Valeant: Paulson & Co. Puts (a Bit More) Money Where its Mouth is". Barron's. Retrieved 27 September 2017. ^ "John Paulson Joins Valeant Board Of Directors". Yahoo Finance. Retrieved 27 September 2017. ^ Gara, Antoine (30 December 2017). "Bill Ackman And Valeant Settle Allergan Insider Trading Lawsuit For $290 Million". Forbes. ^ Court, Emma (3 January 2018). "Valeant Shares Rise After Company Pays Down Additional $300 mln in Debt". MarketWatch. ^ "Valeant, Distancing Itself From Its Past, Will Change Its Name to Bausch Health". The New York Times. 2018-05-08. ISSN 0362-4331. Retrieved 2018-05-08. ^ "Allergan Fight Conjures Ghost of O.C. 's Past". The Orange County Register. 19 May 2014. ^ "Shareholders Approve ICN Pharmaceuticals Merger". New York Times. November 3, 1994. ^ "Panic Gone, New ICN Team Finds Finances in Disarray". Los Angeles Business Journal. 29 July 2002. ^ "ICN Pharmaceuticals, Inc. Changes Its Name To Valeant Pharmaceuticals International" (Press release). PRNewswire. November 12, 2003. ^ "Valeant Pharmaceuticals Announces U.S. Availability of Cesamet(TM) (CII) and Initiates Post-Marketing Clinical Trial" (Press release). PRNewswire. August 17, 2006. ^ "Valeant Pharmaceuticals Acquires Rights to Nabilone in United Kingdom and Europe" (Press release). PRNewswire. February 15, 2007. ^ "Sweden's Meda AB Buys American Valeant Pharmaceuticals International Units for 392 Million" (Press release). Business Wire. August 4, 2008. Archived from the original on October 11, 2014. Retrieved October 7, 2014. ^ "Valeant Pharmaceuticals Completes Acquisition of Coria Laboratories, Ltd" (Press release). Business Wire. October 16, 2008. ^ "Valeant Pharmaceuticals Acquires DermaTech" (Press release). Business Wire. November 14, 2008. ^ "Dow Pharmaceutical Sciences Becomes Wholly Owned Subsidiary as Acquisition by Valeant Pharmaceuticals International is Completed" (Press release). Business Wire. January 9, 2009. ^ "Valeant to Acquire Tecnofarma, A Mexican Generic Company" (Press release). PRNewswire. July 29, 2009. ^ "Valeant to Acquire Laboratoire Dr. Renaud in Canada" (Press release). PRNewswire. December 7, 2009. ^ "Valeant to Acquire Branded Generics/OTC Company in Brazil" (Press release). PRNewswire. March 19, 2010. ^ "Valeant to Acquire Vital Science Corp. in Canada" (Press release). April 28, 2010. ^ "Valeant Pharmaceuticals Completes Acquisition of Aton Pharma, Inc" (Press release). PRNewswire. May 27, 2010. ^ "UPDATE 1-Valeant Q1 profit beats Street; to acquire Aton Pharma". Reuters. May 3, 2010. ^ "Valeant and Biovail Complete Merger" (Press release). PRNewswire. September 28, 2010. ^ "Drugmaker Biovail to buy Valeant in $3.3 billion deal". Reuters. June 21, 2010. ^ "Valeant Pharmaceuticals to Acquire PharmaSwiss S.A." (Press release). PR Newswire. February 1, 2011. ^ "Teva to buy Cephalon for $6.8 bln, tops Valeant". Reuters. May 2, 2011. ^ Shector, Barbara (May 5, 2011). "Senators owner Melnyk banned for five years from boardrooms of public companies". The Financial Post. Retrieved October 5, 2015. ^ "Valeant Pharmaceuticals Agrees to Acquire Certain Assets from Atlantis Pharma in Mexico" (Press release). PR Newswire. April 18, 2012. ^ "Valeant Pharmaceuticals Agrees to Acquire Sanitas Group for Approximately EUR314 Million in Cash" (Press release). PR Newswire. May 24, 2011. Retrieved October 7, 2014. ^ "Valeant Pharmaceuticals Agrees to Acquire iNova" (Press release). PR Newswire. November 20, 2011. Retrieved October 7, 2014. ^ "Valeant Pharmaceuticals Completes Acquisition of Dermik" (Press release). PR Newswire. December 19, 2011. Retrieved October 7, 2014. ^ "Valeant Pharmaceuticals Acquires Probiotica in Brazil" (Press release). PR Newswire. February 1, 2012. Retrieved October 7, 2014. ^ "Valeant Pharmaceuticals to Acquire Eyetech" (Press release). PR Newswire. February 13, 2012. Retrieved October 7, 2014. ^ "Valeant Pharmaceuticals to Acquire Pedinol" (Press release). PR Newswire. April 12, 2012. Retrieved October 7, 2014. ^ "Valeant Pharmaceuticals Agrees To Acquire AcneFree And Certain Assets From University Medical" (Press release). PR Newswire. May 3, 2012. ^ "Valeant Pharmaceuticals Agrees To Acquire OraPharma" (Press release). PR Newswire. June 15, 2012. Retrieved October 7, 2014. ^ Maris, David (September 3, 2012). "Valeant To Acquire Medicis for $2.6 Billion". Forbes Magazine. Retrieved June 2, 2013. ^ "Valeant Pharmaceuticals International, Inc. Agrees To Acquire Medicis Pharmaceutical Corporation For $44.00 Per Share In Cash" (Press release). PR Newswire. September 3, 2012. ^ "Valeant Completes Acquisition Of Natur Produkt In Russia" (Press release). PR Newswire. February 1, 2013. Retrieved October 7, 2014. ^ "Valeant Pharmaceuticals International, Inc. Agrees to Acquire Obagi Medical Products, Inc. for $19.75 Per Share in Cash" (Press release). PR Newswire. March 20, 2013. Retrieved October 7, 2014. ^ Carl O'Donnell (October 29, 2015). "Valeant's ambitious plan for its contact lens business". Reuters. ^ "Valeant Pharmaceuticals International, Inc. To Acquire Bausch + Lomb For $8.7 Billion" (Press release). PR Newswire. May 27, 2013. ^ "Valeant Pharmaceuticals International, Inc. Completes Acquisition Of Solta Medical, Inc" (Press release). PRNewswire. January 23, 2014. ^ Winters, Patrick (May 28, 2014). "Nestle acquires rights to Valeant skincare products". Bloomberg L.P. Retrieved May 29, 2014. ^ "Valeant Pharmaceuticals Completes Acquisition Of PreCision Dermatology" (Press release). PRNewswire. July 8, 2014. ^ Euan Rocha (February 4, 2014). "Valeant to buy PreCision Dermatology for $475 million". Reuters. ^ David Welch (November 17, 2014). "Actavis to Buy Allergan for $66 Billion, Tops Valeant Bid". Bloomberg L.P.
^ David Gelles (November 17, 2014). "Allergan Escapes Valeant's Pursuit, Agreeing to Be Bought by Actavis". New York Times. ^ "Valeant Pharmaceuticals International, Inc. Completes Tender Offer For Salix Pharmaceuticals, Ltd" (Press release). PRNewswire. April 1, 2015. ^ "Endo Ends Effort to Wrest Merger-Bound Salix from Valeant". Genetic Engineering & Biotechnology News. ^ "Valeant Pharmaceuticals Agrees To Acquire Amoun Pharmaceutical" (Press release). PRNewswire. July 17, 2015. ^ "Valeant grabs a Middle Eastern foothold with $800M pact for Egypt's Amoun". FiercePharma. ^ "Valeant Pharmaceuticals To Acquire Sprout Pharmaceuticals" (Press release). PRNewswire. August 20, 2015. ^ Chen, Caroline (20 August 2015). "Valeant Buys Female Libido-Drug Maker Sprout for $1 Billion". Bloomberg L.P.
^ Rockoff, Jonathan (20 August 2015). "Valeant to Buy Maker of Women's Libido Drug for $1 Billion". Wall Street Journal. Retrieved 20 August 2015. ^ "Valeant Licenses Brodalumab from AstraZeneca for Up to $445M". Genetic Engineering Biotechnology News. ^ "AstraZeneca auctions off troubled psoriasis drug to Valeant in $445M deal". FierceBiotech. ^ "Quebec's Valeant buys Synergetics USA for $192M". cbc.ca. 2 September 2015. ^ "Valeant Pharmaceuticals To Acquire Synergetics USA" (Press release). PRNewswire. September 2, 2015. ^ Milstead, David (30 July 2015). "Valeant's $3-billion man: CEO's big bet pays off". The Globe and Mail. Retrieved October 5, 2015. ^ "Valeant: Could this be the Pharmaceutical Enron?" (PDF). ^ van der Linde, Damon (October 22, 2015). "Valeant stocks plunge, trading halted". Calgary Herald. Retrieved October 22, 2015. ^ Armstrong, Drew; Kitamura, Makiko (October 30, 2015). "Valeant Says It's Cutting Ties With Troubled Pharmacy Philidor". Bloomberg. Retrieved October 31, 2015. ^ "Valeant signs drug deal with Walgreens". Financial Times. December 15, 2015. ^ Alex Wayne (May 28, 2013). "Valeant Agrees to Buy Bausch & Lomb in $8.7 Billion Deal". Bloomberg. Retrieved May 28, 2013. ^ a b Van der Linde, Damon (16 October 2015). "Valeant Pharmaceuticals pricing controversy attracts scrutiny". Calgary Herald. Retrieved 16 October 2015. ^ Noah Buhayar, Charles Stein (1 November 2015). "Charlie Munger Isn't Done Bashing Valeant". Bloomberg.com. Retrieved 26 December 2015. ^ Pollack, Andrew (September 20, 2015). "Drug Goes From $13.50 a Tablet to $750, Overnight". New York Times. Retrieved October 15, 2015. ^ a b Morgenson, Gretchen (October 2, 2015). "Valeant's High-Price Drug Strategy". Retrieved October 2, 2015. ^ a b "Valeant hit by political criticism of drug company pricing". Financial Times. September 28, 2015. Retrieved 5 October 2015. ^ a b "Valeant's price-hike strategy goes far beyond two high-profile increases". FiercePharma. October 5, 2015. ^ a b "Regulators circle as Valeant's business model in focus". The Globe and Mail. October 5, 2015. ^ "Biotech stocks dive as lawmakers take aim at Valeant for drug price hikes". Fortune Magazine. ^ a b c Pollack, Andrew; Tavernise, Sabrina (October 4, 2015). "Valeant's Drug Price Strategy Enriches It, but Infuriates Patients and Lawmakers". New York Times. ISSN 0362-4331. Retrieved October 4, 2015. ^ Nocera, Joe (October 27, 2015). "Is Valeant Pharmaceuticals the Next Enron?". New York Times. ISSN 0362-4331. Retrieved October 27, 2015. ^ "Hillary Clinton tweet crushes biotech stocks". CNN Money. September 21, 2015. Retrieved October 15, 2015. ^ Beasley, Deena (January 28, 2016). "Clinton targets Valeant price hikes in campaign appearance". Reuters. Retrieved July 17, 2016. ^ "Valeant Pharmaceuticals Subpeonaed In U.S. After Price-Gouging Allegations". New York: The Huffington Post via The Canadian Press and the Associated Press. October 15, 2015. Retrieved October 15, 2015. ^ "Shkreli, Valeant CEO set for a grilling at congressional price-hike hearing". FiercePharma. ^ Jonathan D. Rockoff (January 20, 2016). "Valeant Pharmaceutical Interim CEO to Testify Before Congress Next Week". WSJ. ^ Ornstein, Charles (October 27, 2015). "Federal Investigators Looking at Valeant's Contact Lens Dealings". ProPublica. ^ "Valeant Pharmaceuticals International, Inc". Federal Trade Commission. November 7, 2016. Retrieved November 11, 2018. ^ "FTC Approves Final Order with Parent Company of Bausch + Lomb". Federal Trade Commission. February 8, 2017. Retrieved November 11, 2018. ^ "Valeant Pharmaceuticals (VRX) Stock: Climbing on Takeover Rejection!". Modest Money. Retrieved 30 May 2016. ^ "Valeant board ousted CEO Pearson after weekend phone calls: Source". CNBC. March 21, 2016. ^ Rodriguez, Josh (April 22, 2016). "Valeant Pharmaceuticals (VRX) Stock: The Bears Come Out to Play". Retrieved April 24, 2016. ^ Andrew Steele (25 April 2016). "Valeant Pharma (VRX) Names Former Perrigo (PRGO) CEO to Fill Position". Yahoo Finance. ^ Elizabeth Gurdus (16 August 2017). "Valeant Pharmaceuticals CEO: 'It's been a challenging 15 months, but we've made great progress'". CNBC. ^ "Valeant To Sell CeraVe, AcneFree And AMBI Skincare Brands To L'Oreal For $1.3 Billion" (Press release). PRNewswire. January 10, 2017. ^ "Sanpower Group Agrees to Acquire Dendreon From Valeant for $819.9 Million" (Press release). PRNewswire. January 10, 2017. ^ Grover, Divya. "Valeant looks to trim debt pile with $930 million iNova sale". ^ Editorial, Reuters. "Valeant to sell Obagi Medical Products business for $190 million". ^ Editorial, Reuters. "Valeant to sell female libido pill business back to former owners". reuters.com. Retrieved 7 April 2018. ^ "Valeant Agrees To Sell Sprout Pharmaceuticals Subsidiary To Former Shareholders Of Sprout Pharmaceuticals". ir.valeant.com. Retrieved 7 April 2018. ^ Elizabeth Gurdus (10 January 2017). "Valeant CEO: Drugmaker Knee-Deep in 'Turnaround Effort of a Lifetime'". The Street. ^ "Bausch + Lomb Receives CE Mark From The European Commission For The Stellaris Elite Vision Enhancement System". Yahoo Finance. 8 January 2017.